We are a national team of educated and devoted health and fitness professionals. We specialize in caring for, treating, and preventing chronic illness. We are dedicated to helping improve the quality of life of those suffering from Diabetes. We are passionate about enhancing awareness, and sharing the best resources for those with diabetes. 25.8 million children and adults in the United States have diabetes (8.3% of the population has diabetes). 79 million people are prediabetic. The American Diabetes Association funds research to prevent, cure and manage diabetes; delivers services to hundreds of communities; provides objective and credible information; and gives voice to those denied their rights because of diabetes. Founded in 1940, our mission is to prevent and cure diabetes and to improve the lives of all people affected by diabetes. Beyond Type 1 creates and funds a portfolio of programs, technologies and innovations that those living with Type 1 diabetes need to manage, live and thrive. Our goal is to highlight the brilliance of those fighting this disease every day while always working toward ensuring a cure is on its way. Beyond Type 1 is an MFN partner organization. Diabetes Hands Foundation brings together people touched by diabetes for positive change, to make sure that no one living with this condition ever feels alone. Diabetes Hands Foundation envisions a world where people with diabetes do not feel limited, and people without diabetes understand diabetes, its symptoms, and its implications. 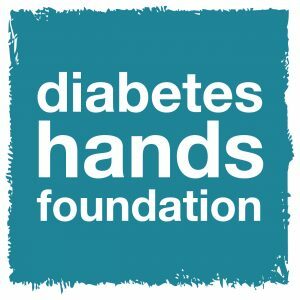 Diabetes Hands Foundation is an MFN partner organization. The mission of Diabetes Motion is to provide practical guidance about blood glucose management to anyone who wants to be physically active with diabetes. Whether you’re new to exercise or a sports enthusiast, diabetes can get in the way of being active. This site will guide you on what to do, how to do it and, most importantly, how to manage your diabetes safely and effectively for exercise. 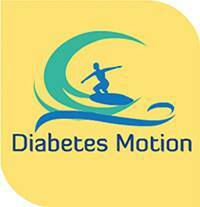 Diabetes Motion is an MFN partner organization.